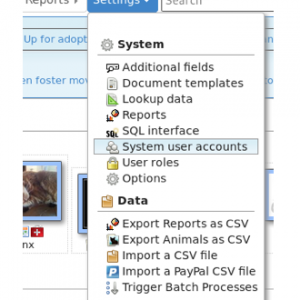 Doobert makes it simple to import your animal profiles from multiple places. Just select where you're importing them from and we'll show you how simple it is. COMING SOON: We are working on allowing you to import from ShelterBuddy and we’ll be sure to update when that is available. Shelterluv is a favorite among animal rescue groups across the country. 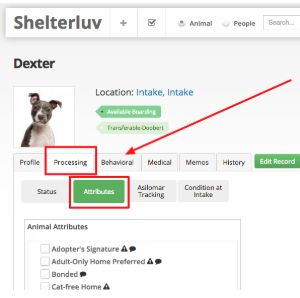 Now you can import all of your public animal profiles into Doobert to create rescue transports. 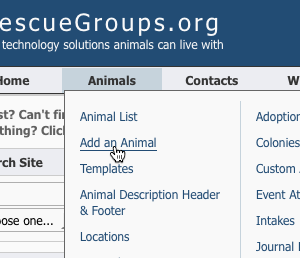 RescueGroups.org is a favorite among animal rescue groups across the country. Now you can import all of your public animal profiles into Doobert to create rescue transports. 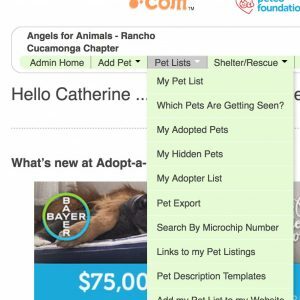 Adopta-a-Pet.com is the leader in adoption websites and a great choice if your shelter management software does not allow you to import your animals directly to Doobert. Sheltermanager.com is a favorite among animal rescue groups across the country. Now you can import all of your public animal profiles into Doobert to create rescue transports.